Bell manages the institute's Energy Conservation Corps, an Americorps youth training program that trains young people in green building techniques and puts them to work helping local folks weatherize their homes. 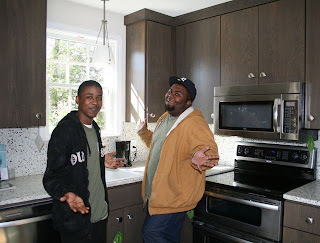 Inside the little green house, two members of the Corps, Lamar Nelson and Dontay Bennett, give us a tour of the hip 1960s-style kitchen. The flooring? Sustainably harvested cork. The Corian-like counters? Recycled glass. And the gleaming appliances? Energy-Star rated. "When I first heard about this program, I was like, 'Huh? Weatherization? What does THAT mean?'" says Dontay. 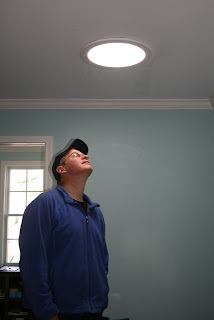 Now he chats knowledgeably about caulk, weatherstripping, how to seal ducts--all the strategies he uses to help make houses in the community less leaky and more energy efficient. This is NOT a skylight! "My Mom used to pay three, four hundred dollars a month for electricity," says Lamar. "I showed her some of the things we learned here, and now her bill is about half that." Besides their own families, Dontay and Lamar are helping other community members. And, obviously, they're getting plenty of hands-on experience that can transfer to future employment. Although the Green House does have a Solatube (an advanced optical device for bringing sunlight to dark spaces), one green technology it does NOT have is solar panels--even though, before joining the institute, Bell worked full-time as a solar installer. "For most houses, installing solar panels is like putting a band-aid on a bleeding artery," says Bell. "Our goal is, first, stop the bleeding." By that, of course, he means the energy wasted when houses are poorly insulated and not weathertight. The program aims to weatherize 200 homes by the end of this year. 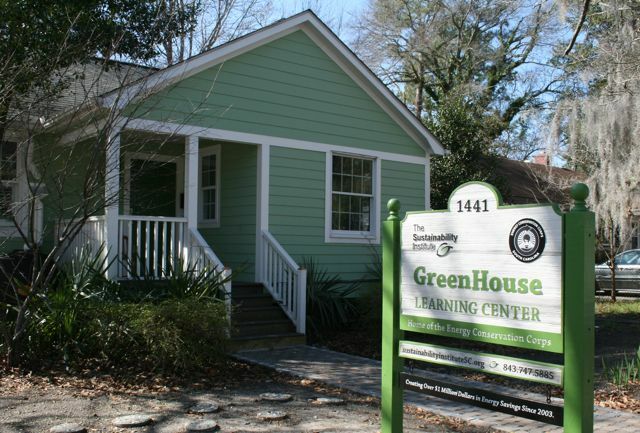 The Energy Conservation Corps program is not unique to Charleston or even South Carolina. If there's a similar program in your area, let us know what they're doing. Spray Foam Roofing is a common word used in the building industry, but still not as readily used in our market. There are typically 2 types of spray foam used today. One is an open cell foam insulation and the other is a closed cell foam insulation.